Congratulations on your engagement! I would LOVE to be considered to photograph your wedding. A few things about me at a wedding - I tend to go with the flow and focus on capturing the moment. I always bring back up equipment and a positive attitude. You can count on me to provide emotionally driven images so you can relive the day over and over (and over!) again. How many pictures can we expect? Each shoot is different, but I guarantee at least 35 unique images per hour. While this is my guarantee, I typically over deliver. 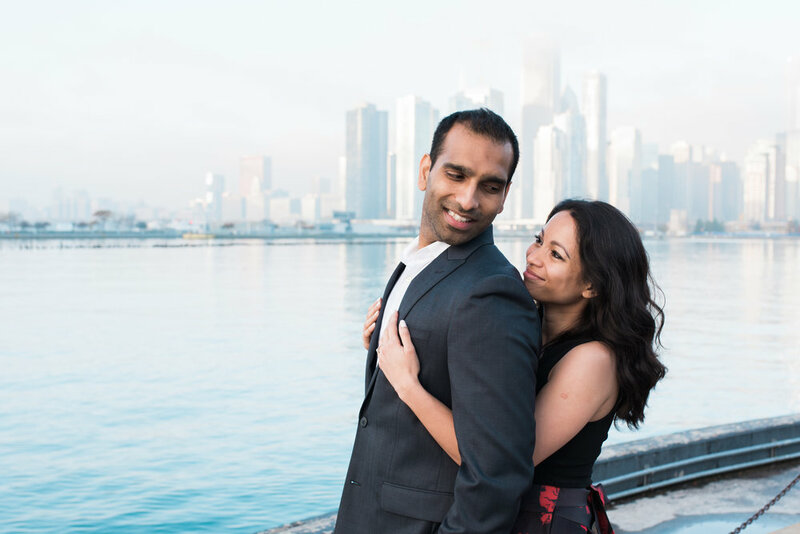 What are engagement sessions like? 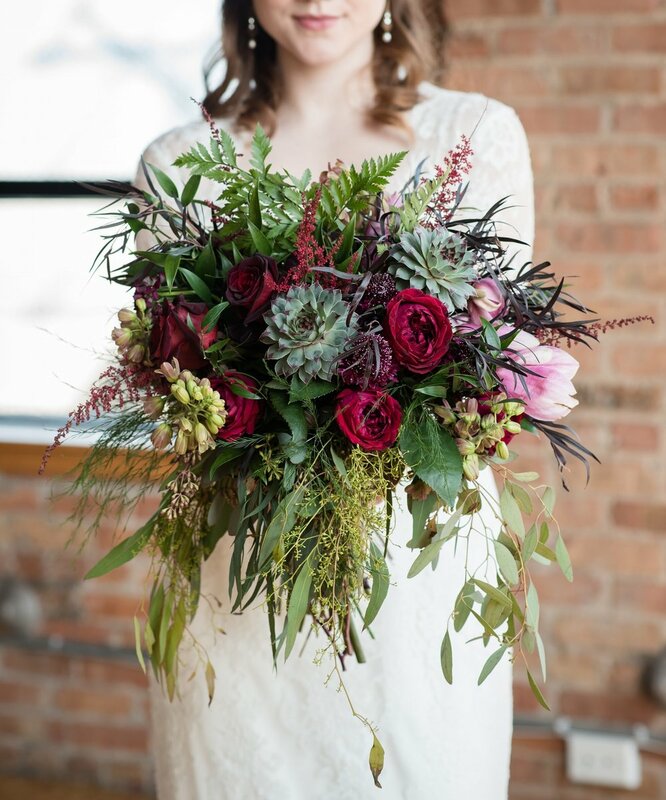 Standard engagement sessions typically last between 1 - 2 hours and are scheduled for an outdoor location in Chicago. If you’d like a more intimate feel, we can take the photographs at your home. Extended sesssions last between 3-4 hours and include multiple locations. We are not photogenic. Can you help? Absolutely! Photo shoots with me are intentionally relaxed. My goal is to document your relationship, not necessarily get the perfectly over-the-top posed photo. If you really hate and feel uncomfortable having your photo taken, we can make your engagement session and all portraits quick and painless. What is a personal print release? Where can I use the print credit? The print credit can be used with the personalized online gallery provided by me. You can use this on either engagment or wedding photos. But don’t wait too long, all credits expire 1 year after your wedding. Are custom packages an option? When and how do we pay? A thirty percent non-refundable reservation fee is due upon signing. I use an online contract company that can process payments alongside your contract. However, if you prefer to send a personal check instead that isn’t a problem. A contract is active only when it has been signed and the reservation fee has paid in full. If you have to cancel, your reservation fee will be returned if I am able to book an event of equal or higher caliber. Final payment is due 30 days prior to your wedding. Regardless of who pays, the photos will be delivered to the person who has signed the contract. Of course! Coffee is on me. :) I would love to meet you and your fiancé and go over any questions. Whoever you decide to have photograph your wedding, they will be with you all day and it is important you feel comfortable with them. You can either email me - Brittany@rock1photography.com - or call me at (715) 419-0987 - or click the link below and fill out a contact form! I’ll respond as quickly as I am able - I can’t wait to hear from you!